Plans to turn a former newspaper office into a centre for blind people have been unveiled by a charity. 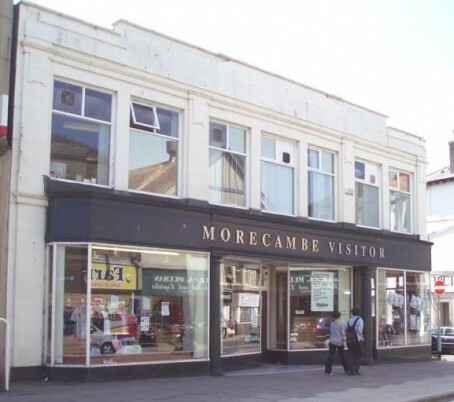 The Morecambe Visitor and Lancaster Guardian moved to a new base on an industrial estate in February last year after their office was sold. 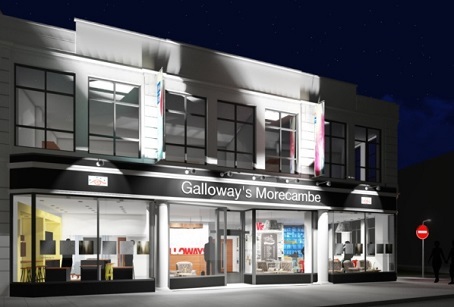 Now their former home on Victoria Street in Morecambe, where the Visitor was based for 135 years, is set to be turned into a centre for excellence for blind and visually impaired people by Galloway’s Society for the Blind. The building was up for sale for a number of years by Johnston Press and had an asking price of £350,000, but the company has not revealed what it was sold for. The charity first announced its plans after the newspapers moved to their new premises and has now revealed an artist’s impression, pictured above, of what the new building could look like. The Visitor reports that the refurbishment of the building by Galloway’s will cost £850,000 and the charity is fundraising towards this. Following the refurbishment, the new premises for the charity are set to include facilities for blind people, along with a social enterprise cafe and meeting rooms which can be hired by the community. Morecambe-born designer Wayne Hemingway is also involved in the project by helping with the redesign of the building. The development will allow the charity to move from its current building on Balmoral Road, where it has been based for 50 years. Stuart Clayton, chief executive of Galloway’s, said fundraising had been “going slowly” since the project was launched. He said: “But we’ve been planning this for a couple of years as our current building on Balmoral Road is no longer fit for purpose. The Morecambe Visitor and the Lancaster Guardian are now based at White Lund Industrial Estate. The former newspaper office in Morecambe town centre. Quite apt, the building being sold to a blind charity. Particularly when it would seem that Johnston Press were blind when they overpaid by around several hundred millions of £ on papers here there and everywhere. Agree with Bob, also quite apt when it would appear JP are blind to the ways of good business and their employees morale as they close down receptions, send loyal customers to phone private sales lines (as if they actually do, most just scrunch up the number and if they don’t throw it back at you they throw it in the bin elsewhere), and generally make life increasingly difficult for those who want to interact with the business.